Have had mine up running for a bit over a week really liking it so far! Very nice...is that a 1590g? And can you post a pic of inside? 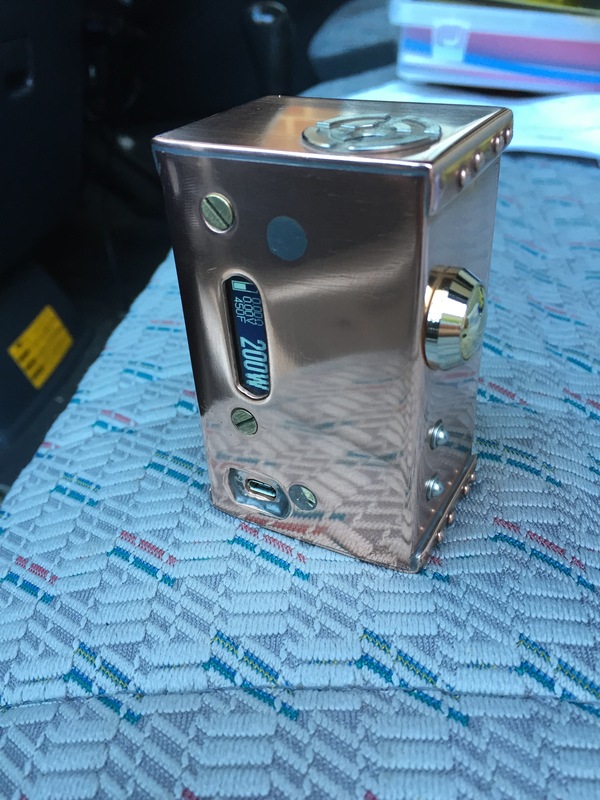 There are some nice looking DIY mods being posted. I hope to finish mine this weekend and I'll post a photo. Do you mind measuring the minimum and maximum depth into the box that the 200 creates inside your box as well as the boxes wall thickness? Much appreciated if you are willing. When you get to feeling like your life is too difficult, walk a mile in someone else's shoes...That way, you're a mile away from them with a fresh pair of kicks! I saw that on shapeways and thingiverse. That blueridge guy made it. What size lipo goes in it? Wow dude now that is original and cool looking. What is that material? It looks like you made the enclosure by hand. Kinda has a steampunk look to it going on. Nice. Looks kinda wide though. Does it fit good in the hand? Could just look like its wide because no reference points. Awesome looking boxes... anybody have a good source for a pre-milled metal enclosure with the buttons? This is a test enclosure I posted. I have since lowered the window to make management of the ribbon easier, but you still have to sand the buttons due to variations in printing...they need to fit tight so there is no deflection. Can you tell me how the snap enclosure on the back worked? Finished my build today only to find that I made the display aperture too small. I might make a new front panel in the future. That is a nice job there Mandro, one of the things I love about the DNA40 is being able to use the steel tank on Origennies, I like them at 390-400F, 32 W, 3 mm rope, 7 wraps of twisted 34 AWG sleeper coils (1 piece of wire doing both wicks) looking forward to trying ribbon Ni with the 200. VapingBad, I've not tried rope or mesh with TC yet, TBH, I've not really used TC at all but I think that will change now that I've got a DNA200. I still prefer glass tanks though, just so I don't empty the tank without realising. 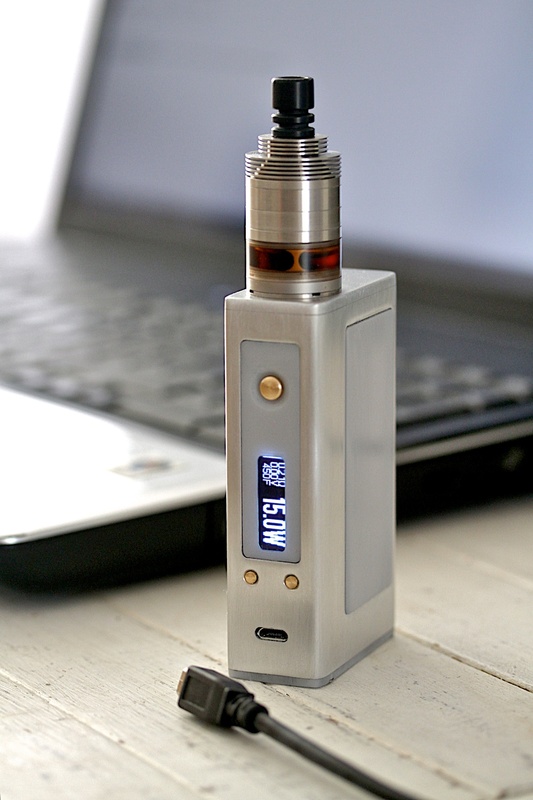 I vape my Origennies dry all the time in temp mode, I actually prefer it to topping up now as you get a whole tank of fresh liquid. All that happens at the bottom of the tank is you get less vapour and the flavour goes off a little if the wick needs a clean, I just put the whole atty in an ultrasonic with just water about every 2 weeks for tobacco flavour and every month for flavourless liquid.